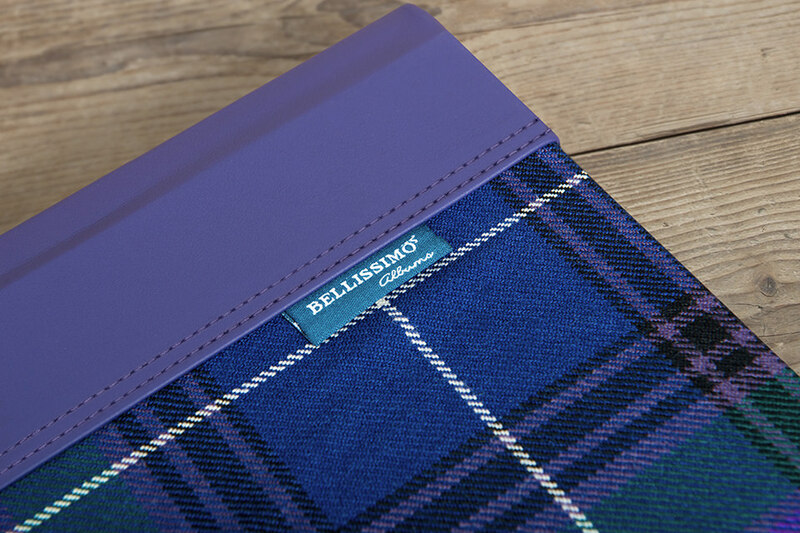 Admired the world over, and a stylish nod to Loxley Colour’s heritage, the famous tartan material takes its rightful place in the Loxley Colour product collection with the elegant Bellissimo Tartan album. 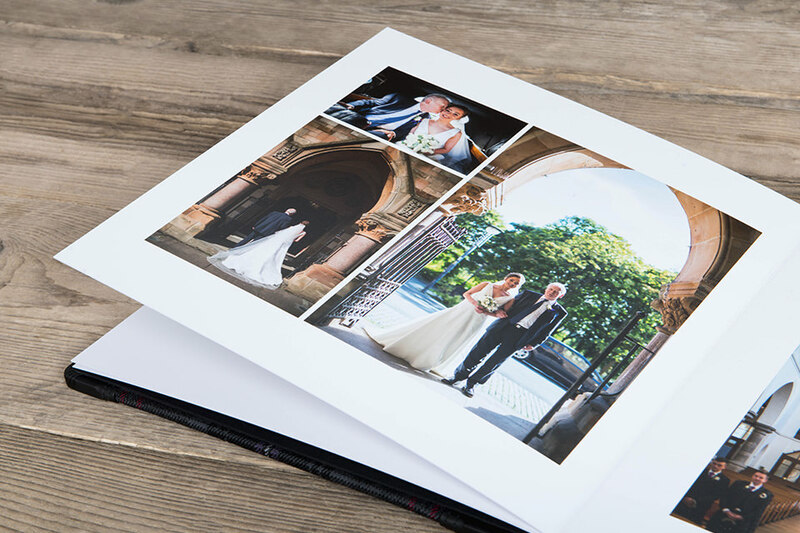 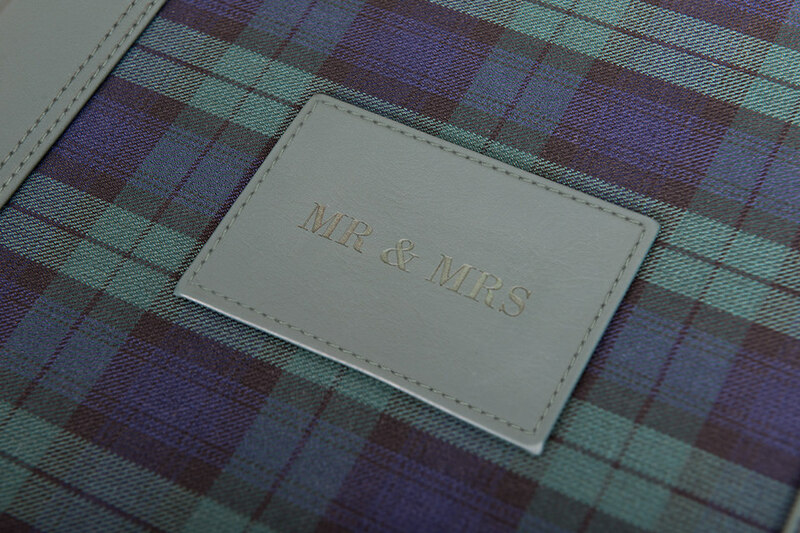 A gorgeous blend of traditional tartan and contemporary genuine leather, it’s perfect to showcase the happy couples’ big day. 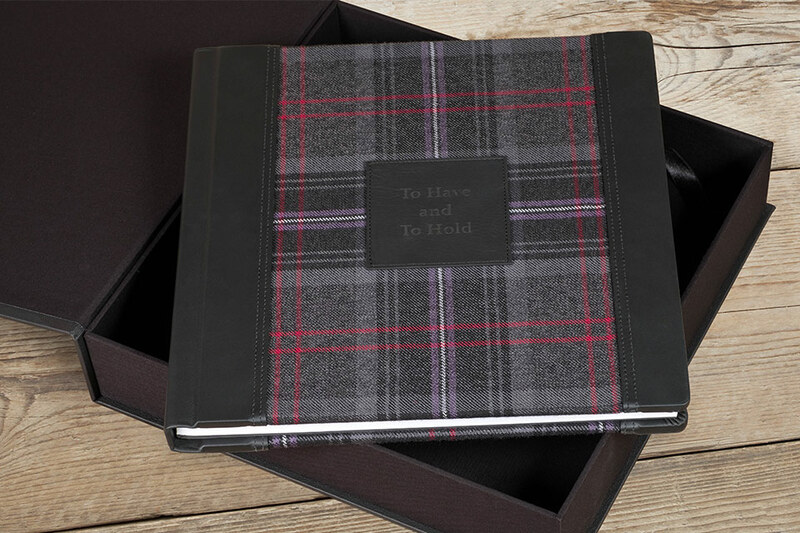 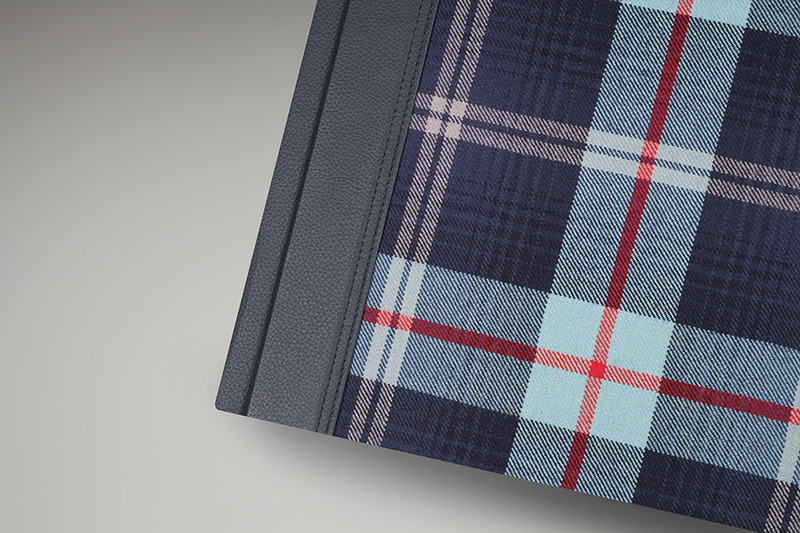 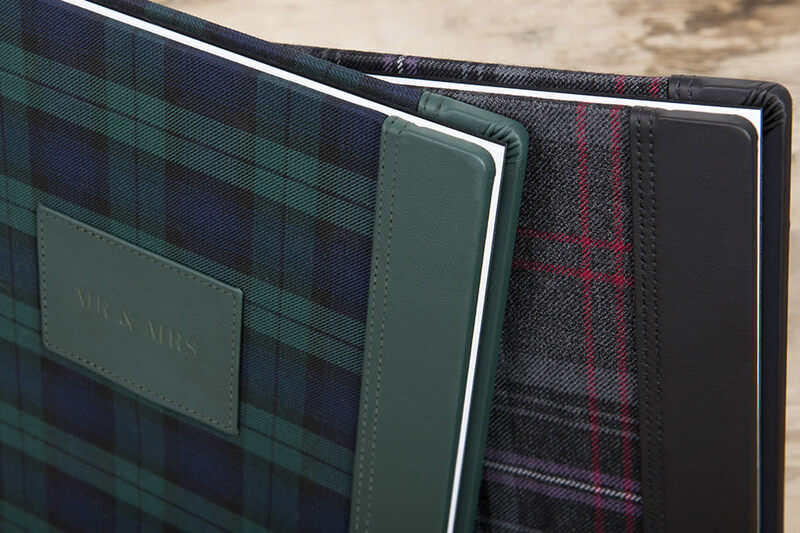 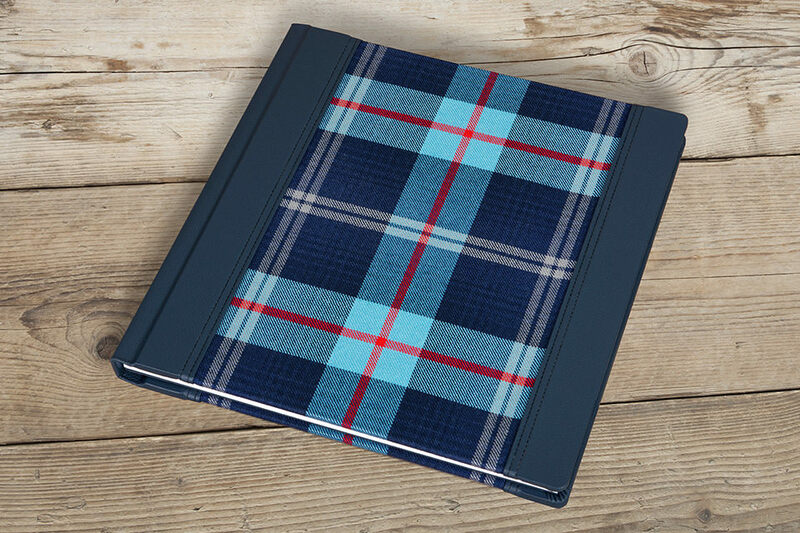 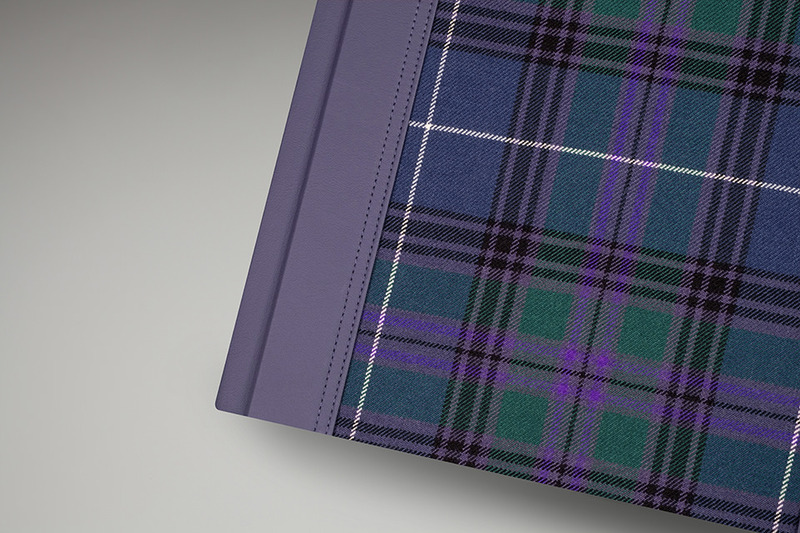 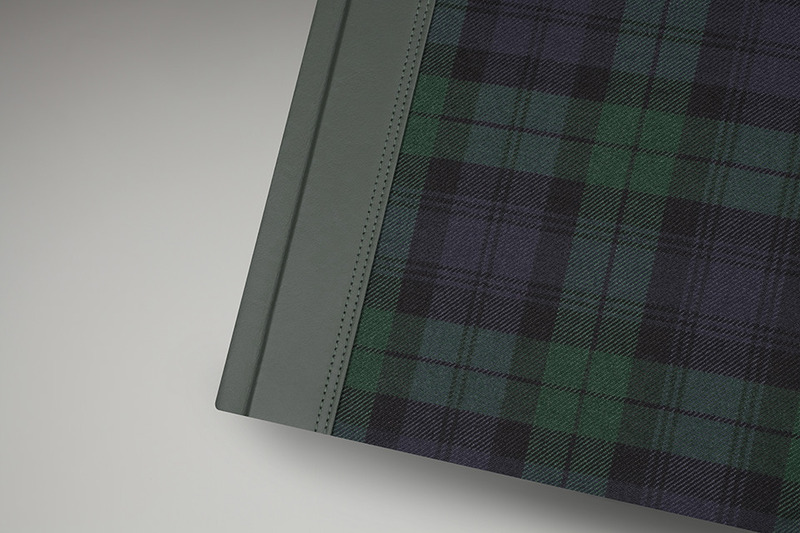 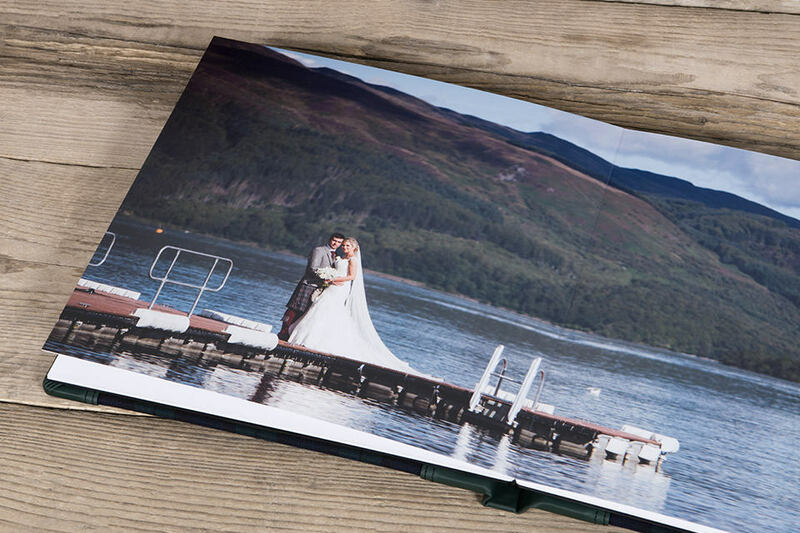 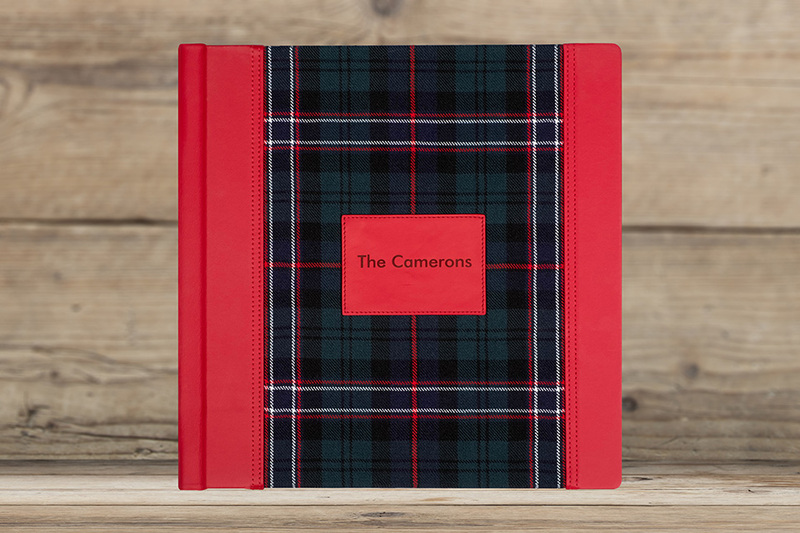 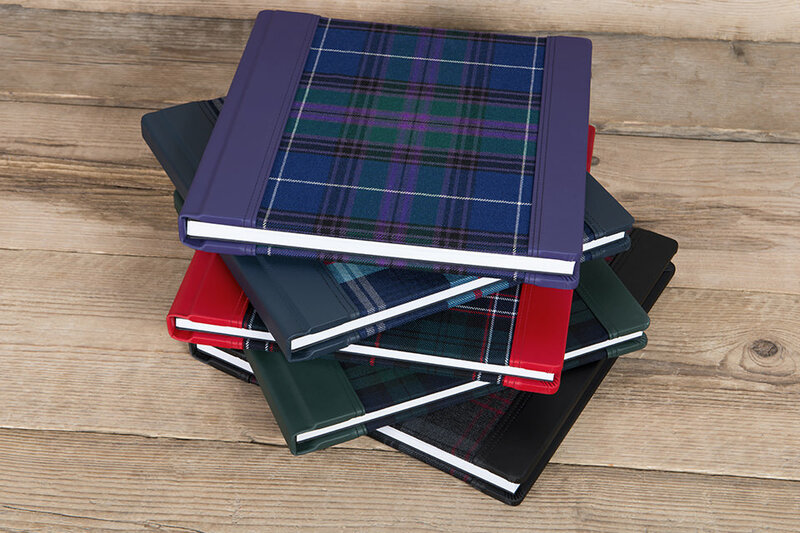 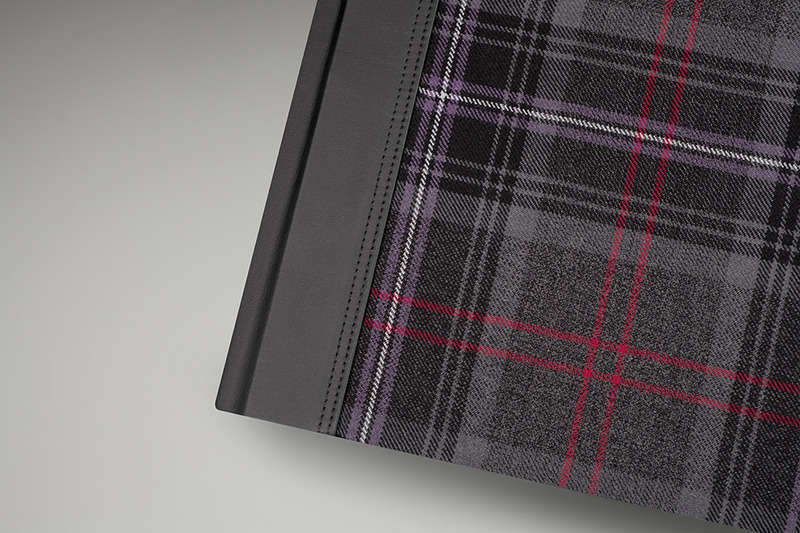 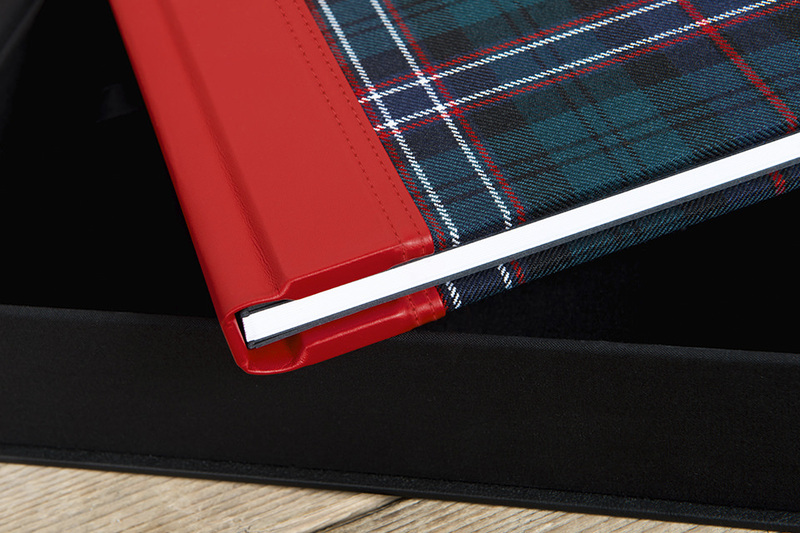 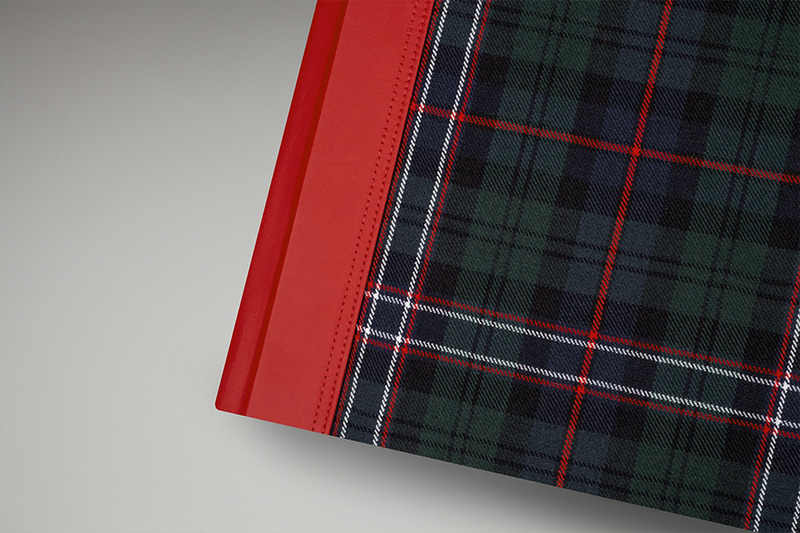 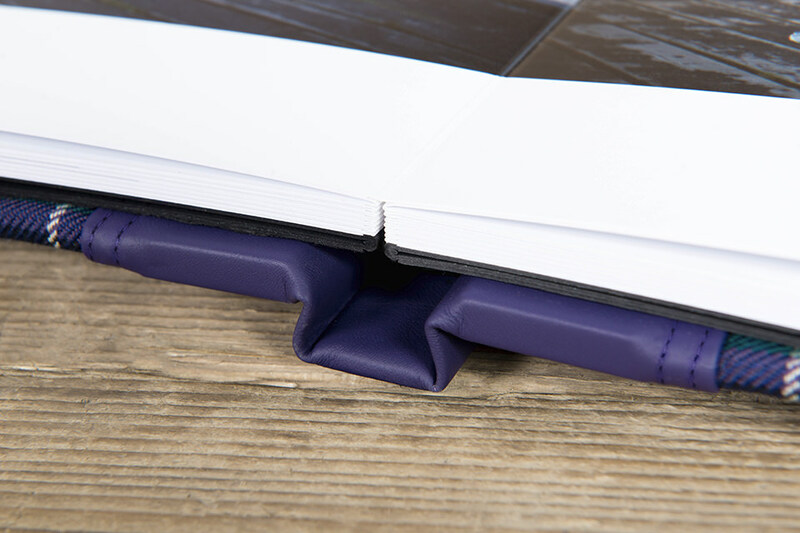 The Bellissimo Tartan album is available in a choice of the UK’s five most popular tartan finishes. 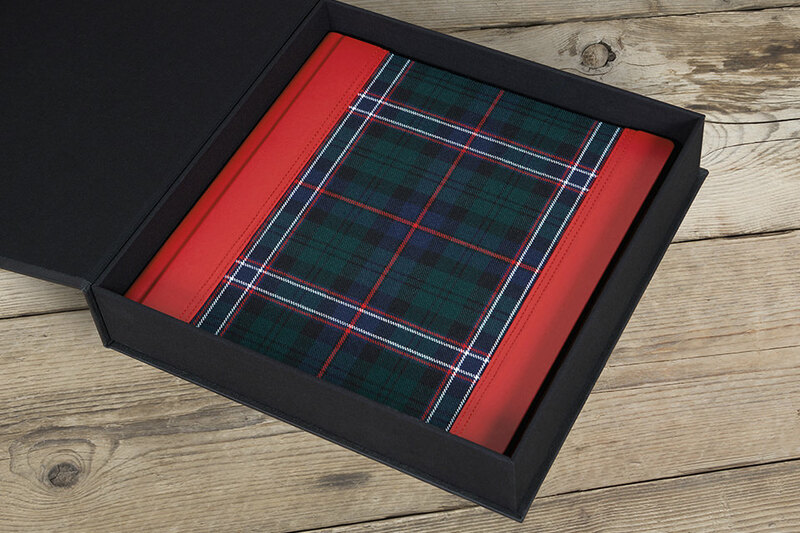 Non-clan tartan with Genuine Leather material and optional personalisation panel. 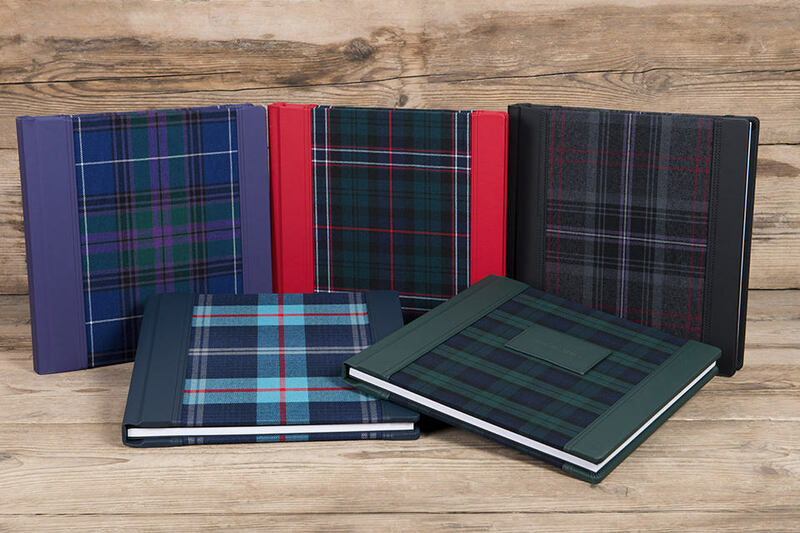 The following Tartan covers are available. 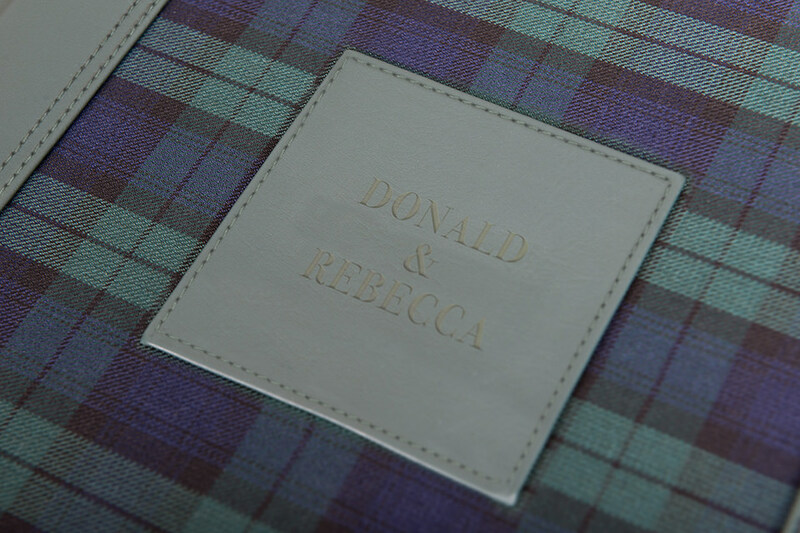 Add a laser etched message containing 2 or 3 lines of text to the front leather panel of your Bellissimo Tartan. 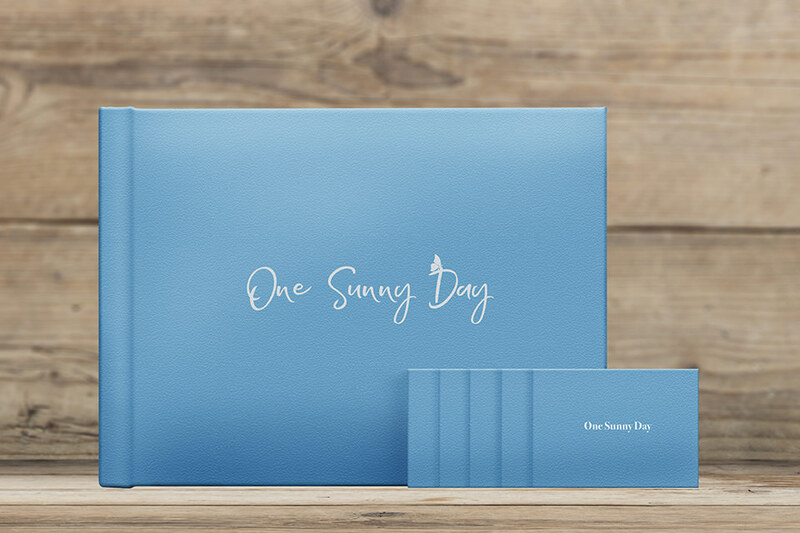 Choose the style of text from these stylish typefaces. 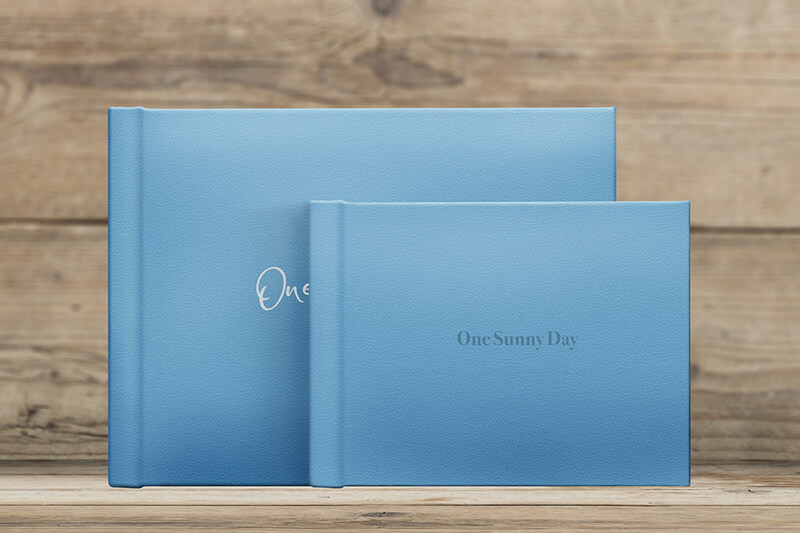 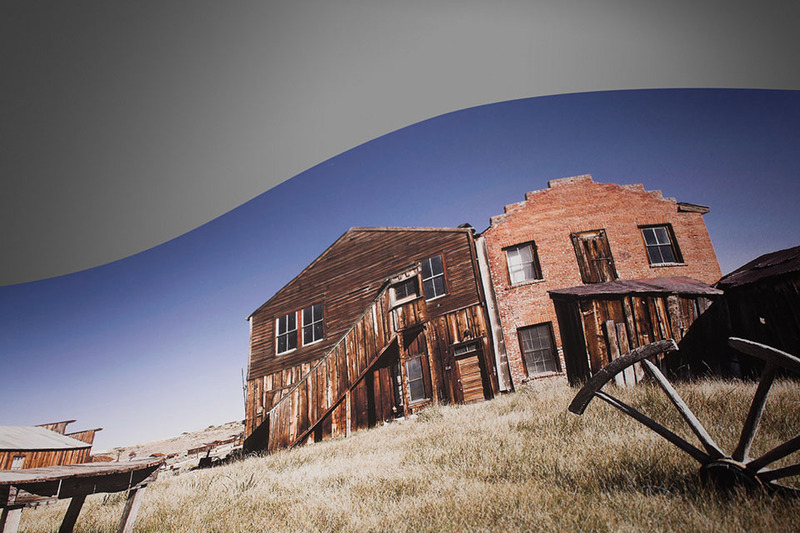 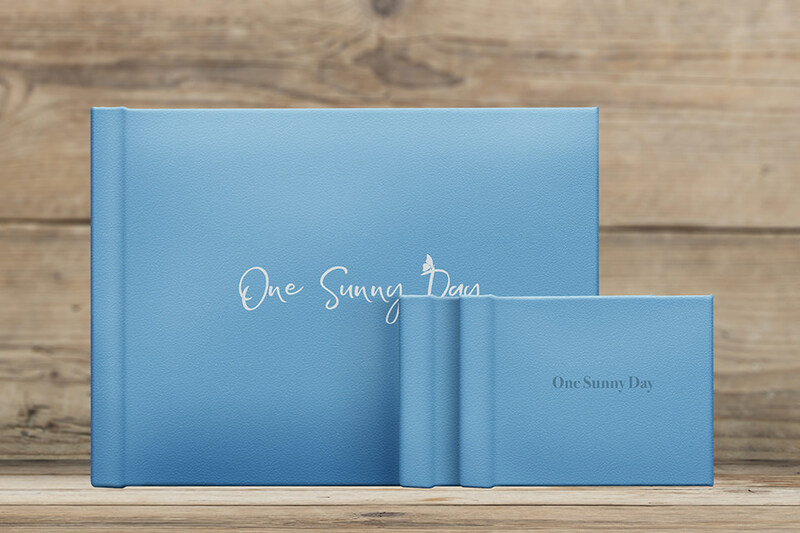 The front panel of your album will come in rectangular format if selecting a one or two-line message, or square format if opting for a three-line message.